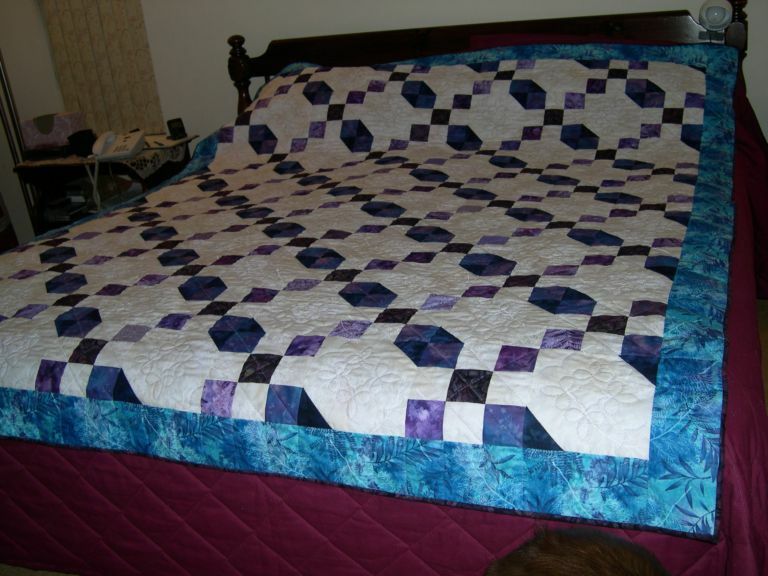 Click each thumbnail for a larger image. 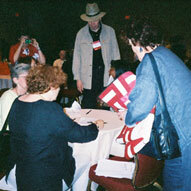 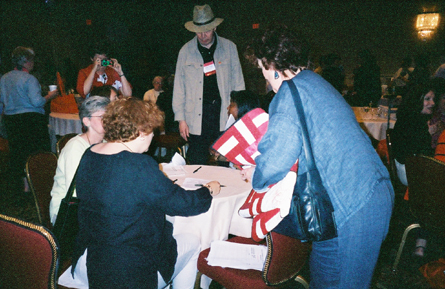 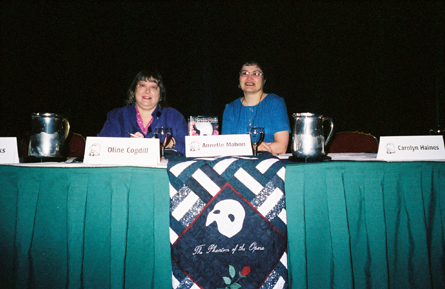 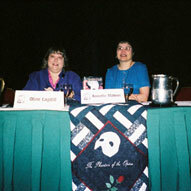 Malice Domestic 2002, Annette's quilt for the silent auction. 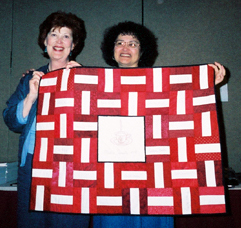 Annette makes a quilt top for her church women's group to quilt and raffle. 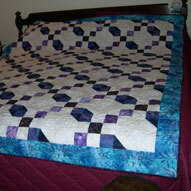 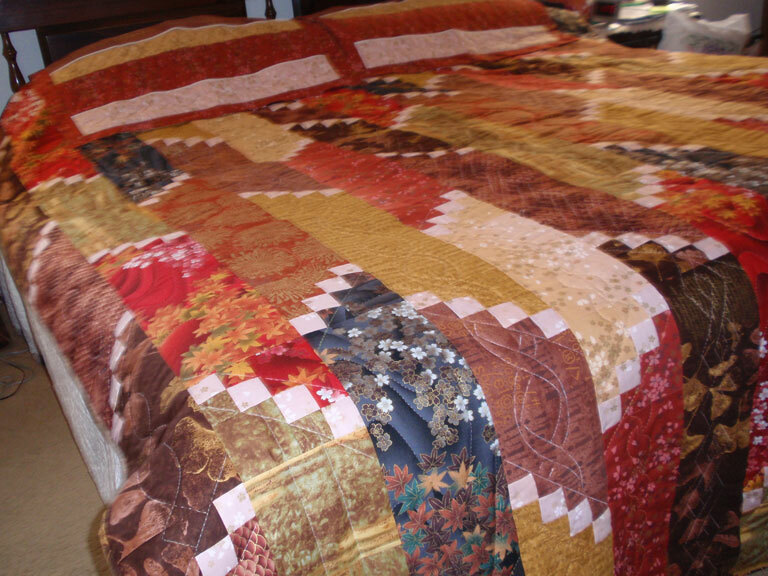 This is the quilt from 2004. 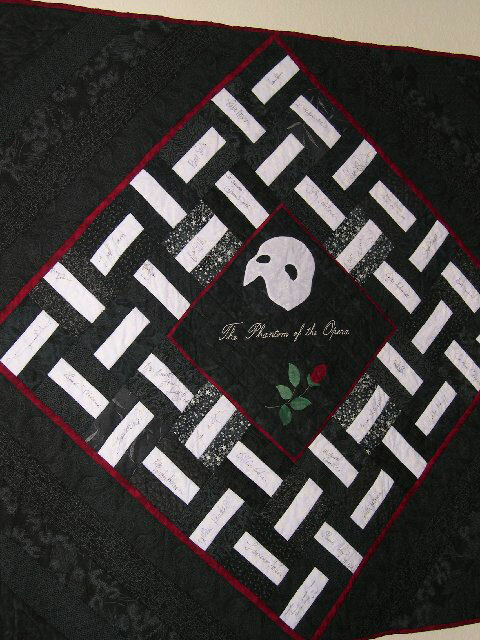 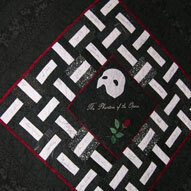 The quilt from A Phantom Death My Phantom of the Opera quilt, signed by the cast members of the play. 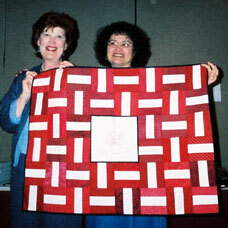 The 2011 church raffle quilt made by Annette and her fellow quilters at the Blessed Sacrament Catholic Community in Scottsdale, AZ. 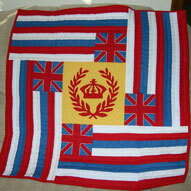 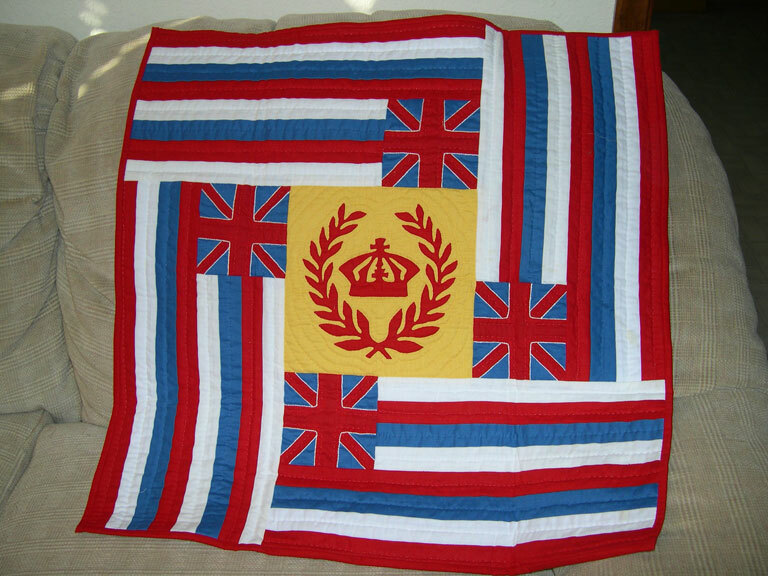 My miniature version of a traditional Hawaiian flag quilt, Ku`u Hae Aloha (My Beloved Flag). 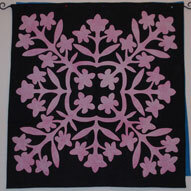 An appliqued, not-yet-quilted Hawaiian quilt top in the mango pattern. 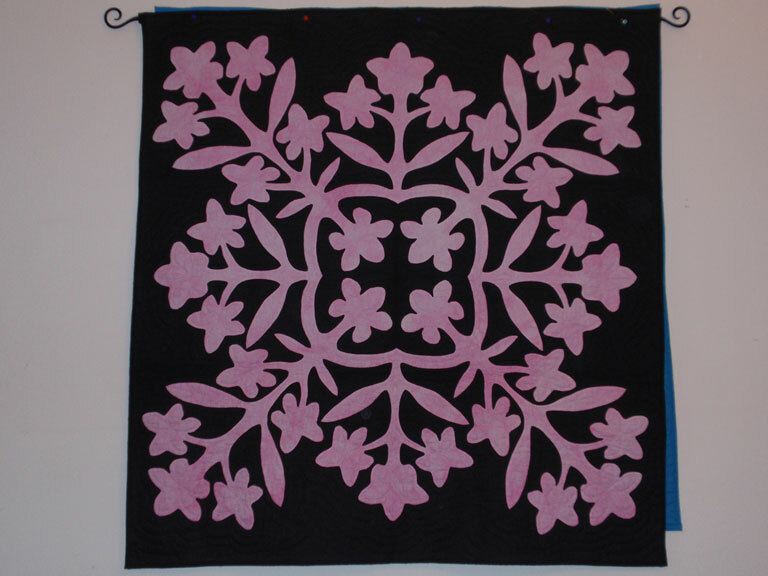 In Above the Rainbow, the quilt shop owner makes a quilt called "In the Black at the Pink Plumeria." 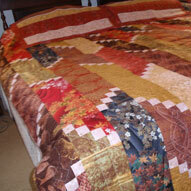 After several quilt friends asked if I'd made the quilt described, I decided I should. 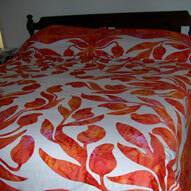 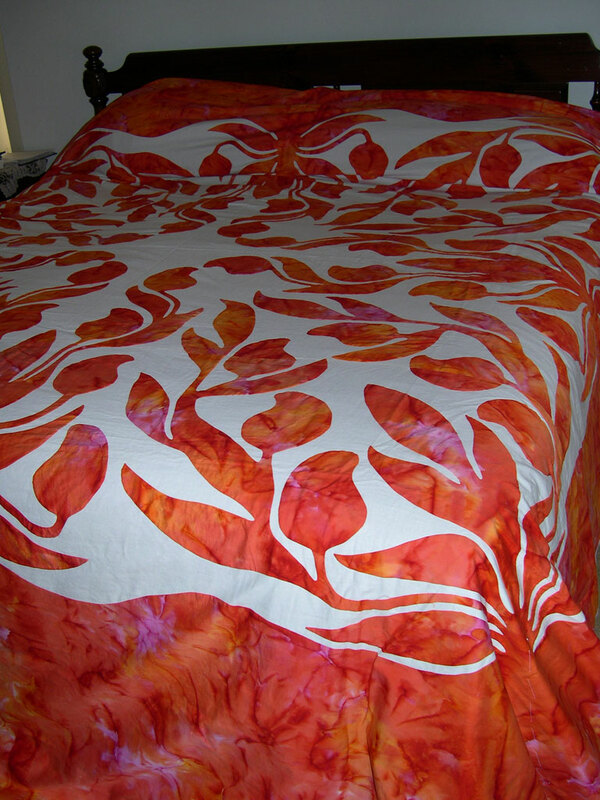 This is the result, and this quilt was used as the basis for the cover design of St. Rose Goes Hawaiian.